If you like playing arcade games on your PC, you must try this exciting game. 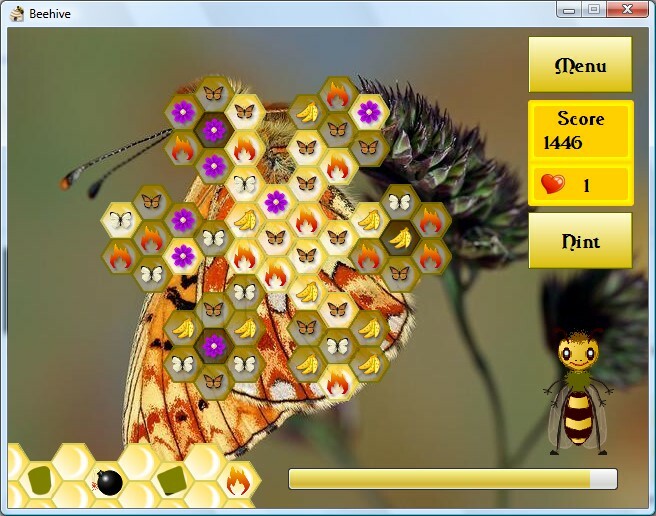 This is a type of match 3 game that you must arrange 3 or more same objects on a line to remove them. 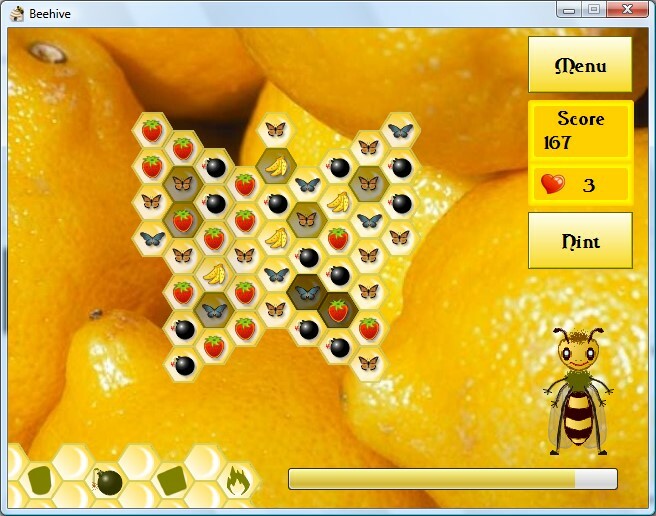 There are a lot of games like this, but there is big difference between them and this game; This is played on a hexagonal grid instead of a rectangular grid. A new look, requires new strategies to play! 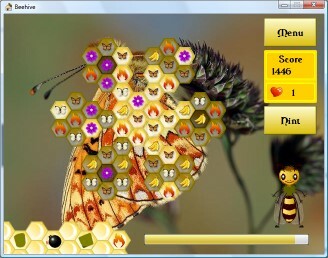 The nature is the theme of this game. 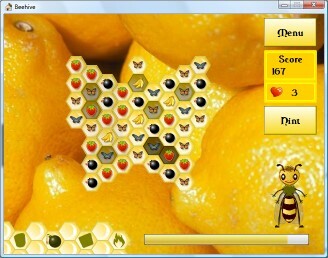 Match the flowers, butterflies, fruits and bees on a bee grid. By completing each level new levels will be unlocked. 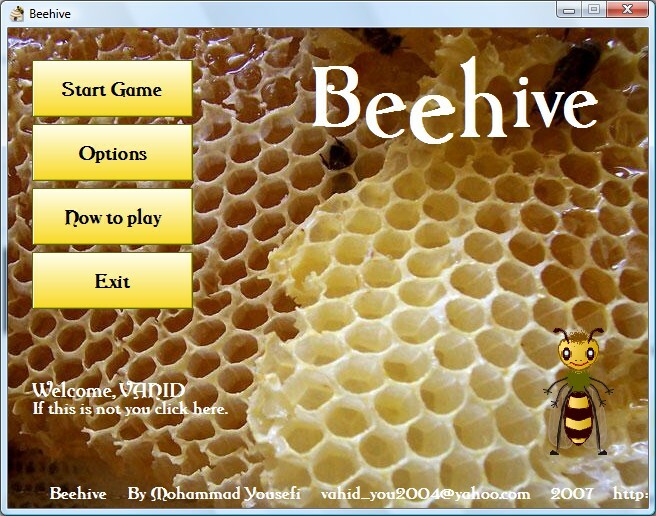 This game offers you 100 different levels that will be really amusing to play.